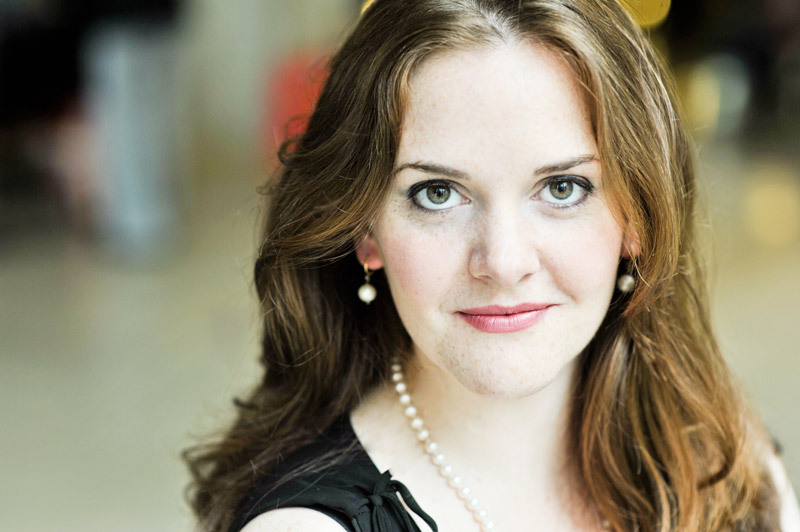 British-Canadian soprano Jessica Muirhead completed her Bachelor's and Master's degrees in Music from McGill University in Montreal, under the tutelage of Mrs. Lucile Villeneuve Evans. Since completing her studies in 2005, Jessica has been busy singing across Europe and North America. In March she received the George London Award for a Canadian Singer at the George London Foundation Competition in New York City, and was awarded the Grand Prize of the Concours de Chant in Toulouse, and 2nd Prize as well as the Audience Favourite award in the Francesco Viñas International Singing Competition in Barcelona. Jessica is also a Grand Prize winner of the Elora Festival Competition, Les Jeunes Ambassadeurs, and National Music Festival Competitions in Canada. Career highlights have included singing Musetta in La Bohème at the Bayerische Staatsoper in Munich, Pamina in Die Zauberflöte, Agathe in Der Freischütz, and Antonia in Les Contes d'Hoffmann at the Volksoper in Vienna, Marguerite inFaust and Mimi in La Bohème at the Semperoper Dresden, Alice in Falstaff with Glyndebourne on Tour in England, Contessa Almaviva in Le Nozze di Figaro at the Teatro Nacional de São Carlo in Lisbon, and Contessa Almaviva, Donna Anna in Don Giovanni, and Micaëla in Carmen all at the Canadian Opera Company in Toronto. Recently she appeared to critical acclaim as the title role inA Village Romeo and Juliet at Wexford Festival Opera, and made her role debut as Violetta in La Traviata with Dorset Festival Opera. Also active as a concert soloist, Jessica has appeared with the Hamburger Symphoniker, the Washington Chorus and Orchestra at the Kennedy Center, the Bayerischer Rundfunkorchester, and l'Orchestre Chambre de Genève, among others, in repertoire including Haydn's Die Schöpfung, Fauré's Requiem, Mendelssohn's Elijah, Beethoven's 9th Symphony, Verdi's Requiem and Berg's Sieben Frühe Lieder. In fall 2013 Jessica made her recital debut in NYC, and appeared again at the Kennedy Center in Washington DC, performing works by Britten (including the War Requiem) as part of the Britten 100 series.